Jarome Iginla draws the blackout curtains and keeps his room at a cool temperature. He silences his cellphone and sometimes reads a relaxing book to drift off. Although he's an 18-year veteran, the Colorado Avalanche ice hockey forward only recently happened upon this simple eye opener: Quality sleep really does matter, especially to athletes. The closer Iginla comes to nine hours of slumber on any given night, the better his production seems to be on the ice. That is why Iginla is not a big fan of early morning practices before games, even though those skates are as much a part of hockey tradition as playoff beards and the handshake line. There is evidence that sleep restriction curtails adequate rest and recovery for athletes, which can impact performance. Some NBA teams have even dabbled with eliminating the traditional shootaround, a brief practice held earlier on the day of a game. Cheri Mah, a researcher at the Stanford Sleep Disorders Clinic and Research Laboratory, tracked the sleep habits of the men's basketball team at Stanford University for a study released in 2011. By extending their sleep, the Cardinal players increased their 3-point and free throw shooting by 9 percent. "When you're tired, it doesn't seem like the game comes as quick," said Iginla, who began working with sleep coaches while with the Calgary Flames a few years ago. "You want to keep things fresh, kind of like a kid, where you can't wait to get on the ice, can't wait to go out there and expend that energy. The more you capture that the better." Nashville Predators coach Peter Laviolette actually scrubbed the morning skatearound when he was with Carolina in 2008-09, but he was fired that December and didn't get to see the experiment through. The Hurricanes went to the Eastern Conference final after he was let go and Laviolette is convinced the lack of a skatearound early in the season played a role. "I think it's because they had a lot of energy left," Laviolette said, smiling. "I think right now (skatearounds) are more habit than anything else (and) I don't necessarily think it's good for you." Still, players are creatures of habit. Maybe decades ago, skating or shooting around before games was a necessary ploy a way for players to loosen up after a late night. Nowadays, players are more conditioned. Dr. Charles Czeisler is known around NBA circles as the "sleep doctor" and as the chief of the sleep and circadian disorders division at Brigham and Women's Hospital in Boston, he has worked with several professional teams and believes more emphasis should be placed on monitoring the body's internal clock. A few seasons ago, Czeisler consulted with the Portland Trail Blazers to curb their trend of struggling on East Coast trips. His biggest advice was to keep everyone's schedule on Oregon time and not, say, New York time. That three-hour difference is huge to the body. "So the coach told them, 'OK, your curfew is 2 a.m.,'" said Czeisler, who's worked with the Boston Celtics and Boston Red Sox baseball team. "The players were all very excited about that. Trying to adjust is just going to degrade your performance." "So often sleep is the first thing to go when there's a busy schedule and a lot on the plate," said Mah, who recently offered sleep guidance to the NBA's Western Conference-leading Golden State Warriors. "Making it a priority is essential for players and coaches." NBA teams such as the Minnesota Timberwolves and Denver Nuggets have experimented with cutting down on the traditional shootaround approach. Instead of having their players show up at the gym early in the morning, go home around lunch and then return that night for the game, they're having them arrive closer to game time. Recently though, by a 6-5 player vote, the struggling Nuggets decided to go back to the early morning shootaround. Lawson prefers to break his sleep into chunks, five hours at night and then a three-hour nap during the day. Iginla certainly wouldn't mind being done with morning skates, but it might take a Stanley Cup hockey champion to usher in that sort of change. "That's what it will probably take to get it to catch on big time," Iginla acknowledged, "I'd rather get a little more sleep." I believe that this is true because when I did not get a lot of sleep and I had a game the next morning I scored less points than i scored when I did get some sleep. 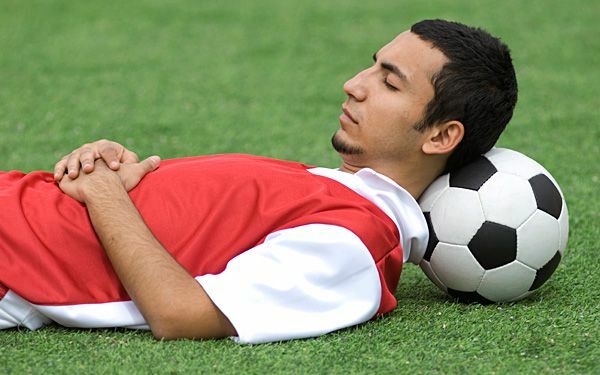 I think sleep helps your body to function better during the game or whatever sport you are participating in. The people that play sports do need to have more sleep than people that don't play sports even though other people do need to sleep to. Some people that play sport do need sleep because they work harder than most people do and the train then some of them go to tire practice, have extra training, and some of them go to the gym. Everyone need to sleep no matter what they do but athletes need more sometimes. Sleep is essential to play sports. The text states that adequate rest improves performance. The text also states that sleep should be taken just as seriously as strength programs and nutrition. The evidence from the text suggests that if you don't get enough sleep, then your performance will lower and you won't do as good. Sleep is essential to perform throughout the day.The text states that having a extended sleep time, can help you be more active through the day. The text also states that basketball players who got more sleep, had 9% more free throw and Three-point. The evidence from the text suggests that if you get more sleep you will perform and be ready for the rest of the day. Dr. Czeisler worked with the Red Sox's and the Celtics. The text states that Dr. Czeisler was known in the NBA circles as the "sleep doctor". The text also states that the players were more upbeat and more livery if they all sleep 8 to 10 hours a night. The evidence from the text suggests that Boston's sports teams used him to help the team find sleeping time during a grueling season of traveling from east to west. Red Soxs and Celtics worked with doctor Charles Czeisler rather than another doctor most likely do to his having worked with the baseball team for a long time. The text states he is helping them get better with their sleeping habits. The text also states that Dr. Charles Czeisler is known around NBA circles as the "sleep doctor." This evidence from the text clarifies that this is why the doctor worked with this team. Sleep is essential to success in sports. The text states that is why Iginla is not a big fan of early morning practices before games, even though those skates are as much a part of hockey tradition as playoff beards and the handshake line. The text also states that sleep restriction curtails adequate rest and recovery for athletes, which can impact performance. The evidence from the text illustrates That's what it will probably take to get it to catch on big time," Iginla acknowledged, "I'd rather get a little more sleep. The Red Sox and the Celtics worked with Dr. Charles Cziesler. The text states that he is known as the sleep doctor. The text also states that he has worked with several professional teams and has seen improvement with things like shooting 3 pointers in basketball going up by 9 percent. 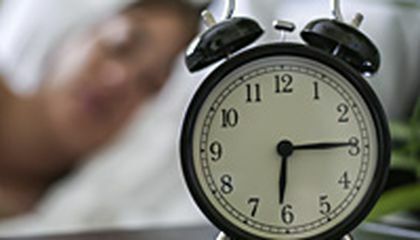 The sleep doctor says that going to afternoon practices before a game rather than early morning practices improves on how people preform in the game. He says that elite athletes need 8-10 hours of sleep. The Red Sox and Celtics worked with the sleep doctor because his studies actually work. Sleep is so important, yet I know that many people don't get enough of it, including me. Life is full of so many things, it is hard to actually find time to just stop and relax. I think that it is great that some sports teams are realizing that the more sleep their players get the better they do during practices and games. Getting enough sleep also improves a ton of other affects in life, like being able to focus or do well in school.